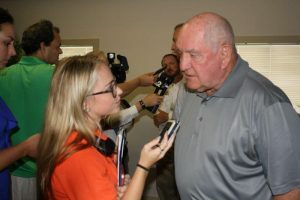 U.S. Secretary of Agriculture Sonny Perdue visited Citrus Expo on August 16. During his visit, he held a listening session alongside Congressman Tom Rooney and citrus industry professionals. The main topic during the session was citrus greening and the importance of research to combat the devastating disease. Growers and industry leaders spoke about the challenges of the Florida citrus industry. They also discussed the importance of research and the programs that are already in place that have proven to be beneficial to growers. 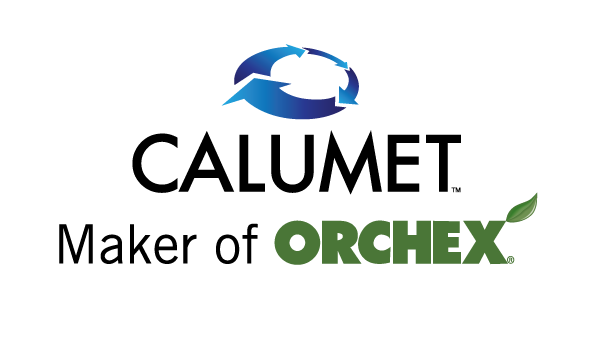 However, despite the devastation citrus growers have gone through the past decade, the speakers showed some optimism for the future of Florida citrus, which pleasantly surprised Secretary Perdue. “It was a real encouragement to me that we’re going to whip this thing,” he said about the growers’ comments. Secretary Perdue also said he was excited about the turnout of growers at Citrus Expo. “As much as this industry has been hurt over the past 10 years, I am very pleased to see the amount of energy and effort that’s being made still by people within the citrus-producing industry,” he said. Perdue added that he will be reporting good things to President Trump upon his return to Washington, D.C. He said that he will let the president know that the Florida citrus industry is alive and well, and he would like to see it thrive.